Lara Jean is having the best senior year. 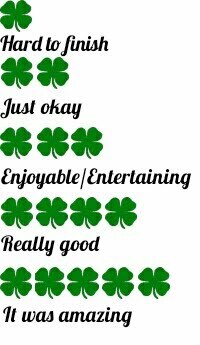 And there's still so much to look forward to: a class trip to New York City, prom with her boyfriend Peter, Beach week after graduation, and her dad's wedding to Ms. Rothschild. Then she'll be off to college with Peter, at a school close enough for her to come home and bake chocolate chip cookies on the weekend. Life couldn't be more perfect! At least, that's what Lara Jean thinks...until she gets some unexpected news. Now the girl who dreads change must rethink all her plans-but when your heart and your head are saying two different things, which one should you listen to? - excerpt from book. 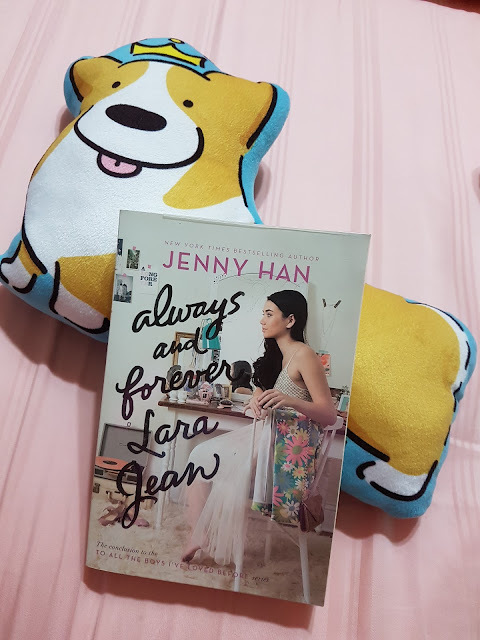 Always and Forever, Lara Jean by Jenny Han is the last book in the series, it's truly a bitter sweet one for me as I was reluctant to finish the book, dreading the ending. With an eagerness to read, I jump into the story the instant I've gotten the book and my attention was easily captured. The author made this young adult romance so exciting to read about as there were many new events for Lara Jean and her family. The ups and downs were just so entertaining, never failing to amaze me through the reactions of the characters. I was waiting and waiting for a certain male character to show up as I wanted a spicier romance for Lara Jean but sadly I was just anticipating too much. Lara Jean is on a search to find what she wants, her journey and growth truly made her special, the way she dealt with situations was genuine. I love how tight the family is and how that one person's actions and reactions would affect the family's dynamics. A heartwarming family from start till end, I love how they would stay so close and honest with each other. To drill down on the characters, they are realistic people written by the author. The author potrays them well and pulls you in till you have that feeling that you know them well, like Lara Jean is your real life friend. I love how Lara Jean grows up gradually in the story, I often have moments of conflict when she is making decisions, I'll be like oh no sister, you shouldn't do it that way. As for every other character in the book, they fit in quite well with their personality, doing things they are meant to do perfectly. I had no idea how the plot would go at all, I was happy that I didn't try to anticipate anything and just go with the flow. The flow was indeed good with surprises here and there. I love the plot twists although childish but very realistic. Indeed this was a heartwarming book with moments that you can treasure when it comes to family. It was a good conclusion to the series but I cannot hide that I was disappointed at some parts but nevertheless it was still acceptable. Overall I would say this series is worth picking up, giving you a good amount of romance, fun, family and teenage problems. I highly recommend this to those who want a refreshing take that is non cliche contemporary young adult series.